Cycling 100 miles on a summer’s day – which means around 8.5 hours of pedalling – is not everyone’s cup of tea. But what if that effort could help improve lives in Africa? Our Chief Executive, José Sluijs-Doyle, explains why she is getting all geared up for the 100-mile Ride London challenge to raise money for African Initiatives. A few months ago I signed up to cycle the 100-mile ‘Prudential RideLondon-Surrey’ race to raise money for African Initiatives. Since then I’ve cycled into work a few times a week. That’s 17 miles (27km) one way, or 34 miles to work and back on a good day – admittedly, sometimes I feel so tired that I take the train home! I enjoy it – most days! But it has made me realise that many secondary school children in northern Ghana have to do this Monday to Friday, all year. And they have to do it both ways, on sandy roads, on old, clunky bikes without gears – and without the option to take public transport home if they are tired. In Tanzania other children have to spend up to six hours walking to school and back each day. When they get home they are exhausted but still have to help clean up, fetch water or look after their siblings. 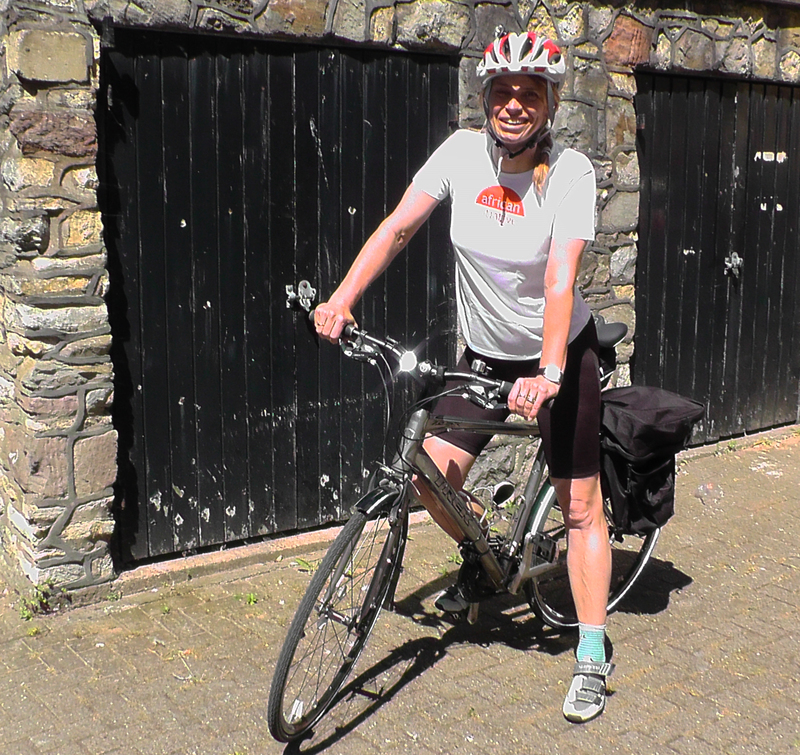 Rose’s story is the reason why I will cycle 100 miles (it will take me about eight and a half hours) on 10 August. With the money I raise, African Initiatives will be able to support more girls to go to school and receive an education – and to live in one of our dormitories. Dormitory accommodation provides girls with a safe place to study and sleep. It means they can avoid the long trek to and from school and the sexual harassment perpetrated against them en route on a daily basis. Education will provide them with life-long opportunities and will support the development of their whole communities. If you would like to sponsor my cycling challenge please visit my Just Giving page or sponsor me by texting JOSE75 £10 to 70070. To find out how you can support African Initiatives in other ways, visit our page.